Do you remember the Geico marketing campaign from a few years ago featuring cavemen with the slogan, “So easy a caveman could do it”? The driving message of this snarky humored campaign was that getting insurance is so, so easy, why wouldn’t you do it? My message is the same. And while I’m not calling you a caveman, I am saying that taking Cybrary’s skill certification tests is simpler than you may think, so why not at least try? I like to believe that I am an expert at a lot of things, we all do. But I will be totally truthful when I say that I am far from an expert in cyber security. After all, I am the Marketing Manager here at Cybrary, so if anything, I should be proclaiming my marketing expertise. For now, I’ll spare you from that. Like yourselves, I want to constantly expand my knowledge. So, as someone breaking into the field, I needed to gain some cyber know-how and start myself down the right path, giving me the ability to build on my skills for future learning. The Open Systems Interconnection (OSI) Model skill certification test was a great place to start. This test discusses the layers of a conceptual model which standardizes the communication functions of a telecommunication or computing system without regard to their underlying internal structure and technology. For me, it was helpful to understand networking at a baseline level. 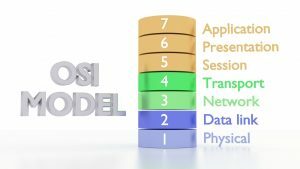 Prior to taking this test, I was unfamiliar with the concept of the OSI model. Clueless. In order to provide users with a better experience and assistance at getting started, I want to give a genuine overview of my test taking experience from the perspective of a beginner, so you can envision yourself certified too. I promise, it is feasible. And there are plenty of tools to help along the way. My journey towards getting certified began with a browse through the course catalog. It took me some time to skim through the beginner certification’s course descriptions, but once I landed on OSI, I knew that was my test. (Lucky for you, I’m telling you where to start). The first video provided an overview of the topic and then broke each layer of the model down into modules. None of the videos were too long, so I didn’t find my mind wander as it usually does. The instructor, Anthony Harris, provided a useful analogy of OSI to a package being shipped, as well as many diagrams. The visualization of this concept to something I was already familiar with made the topic much more accessible. And, as if the modules weren’t enough, I was then directed to an 0P3N post upon their completion. The author of this post had broken down each layer into plain English, which helped me review the notes I had been taking. Lastly, I found myself on a S3SS10N Wednesday video, the most helpful of all. Instructor Kelly Handerhan doesn’t take herself too seriously, so along with a detailed overview that built upon previous modules, she adds a nice touch of humor. The UDP joke, among others, is really funny. There’s a last chance for review, then the test. By this point I was pretty nervous. Internally I waged that my reputation at Cybrary was probably on the line but for your sake, I jumped in. Admittedly, there were a few questions that threw me off. Particularly one that used the word ‘granularity,’ which I later Googled and discovered means: the scale or level of detail present in a set of data or other phenomenon. (Again, you’re welcome). Overall, I was confident as I moved from question to question, especially for someone who just began familiarizing themselves with this information today. The questions are written clearly and to the point. Plus, on this test there is only one right answer per question. Once I received my certification, I posted it immediately to LinkedIn and basked in my glory. Seriously, that easy! Now, if you don’t at least try, consider this my declaration of you as a caveman. Click here to get certified in the Open System Interconnection model.